I AM EVIDENCE THAT NALOXONE WORKS. My recovery began nine years ago. I had overdosed, an ambulance was called and Naloxone was used to save my life. I guess you could say that I was a ‘chaotic opioid user’. I was prone to overdose situations, often because of poly drug use. There have also been occasions in my life when I have overdosed and been left to chance and it was just sheer luck that I survived. I know of many who have not been so lucky and some, like me, who would not be here today if Naloxone hadn’t been available at that time and place. My life is full now. I am passionate about my work in advocacy, training and consultancy and I am currently in the process of relaunching our local mutual aid collective. I am evidence that Naloxone works. Naloxone saved my life and kick started my recovery, yet it’s still a postcode lottery as to who will be saved and who will be left to chance. Hundreds of people who inject drugs accidentally overdose every year and don’t make it. Like me, they could be here today. 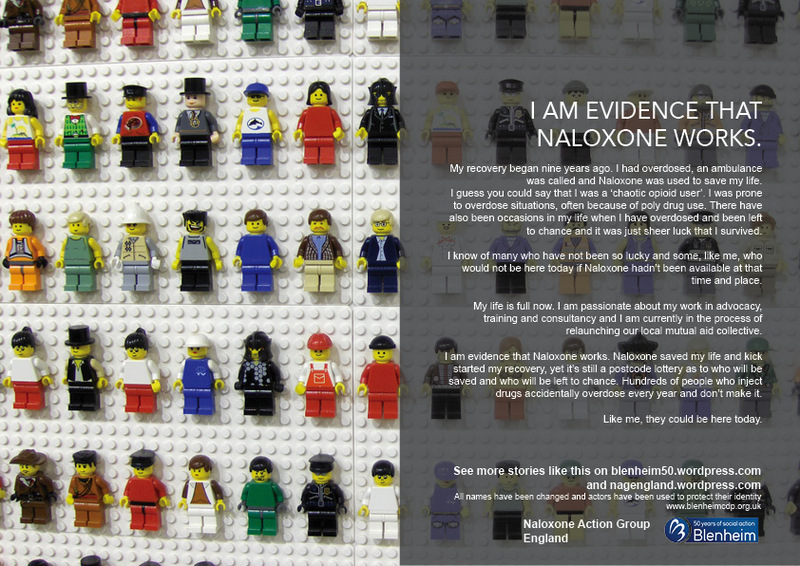 You can find out more information about naloxone and help us to campaign for a national programme in England on the Naloxone Action Group (NAG) England website. 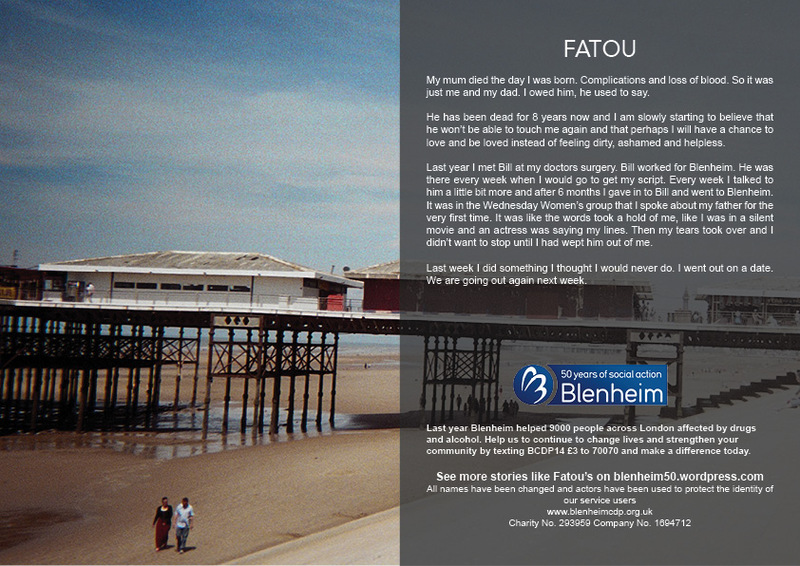 My son was just 3 years old when his father died from alcohol poisoning. It was a hard time for all of us, especially my son. Life moved on and I met my current partner. I didn’t know that he was using until I got the call from the hospital. He had accidentally overdosed on heroin and valium and was technically dead. Three shots of Naloxone saved his life. I’d never heard of Naloxone before. It doesn’t bear thinking about what life would be like if it hadn’t been available that night. Addiction is a terrible illness and accidental overdoses do happen. I believe that Naloxone should be made available to everyone and anyone who is living with drug addiction. I would happily be trained to administer it. My partner is in recovery now and has been clean for over 3 months. 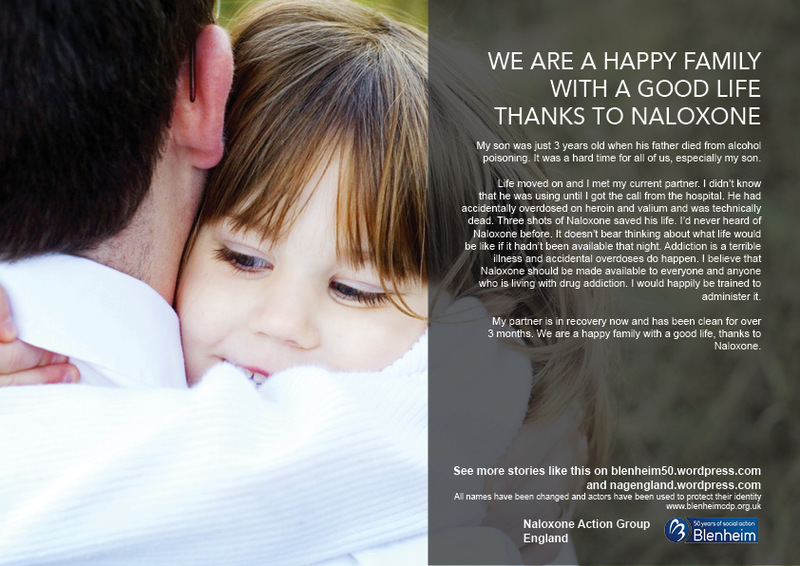 We are a happy family with a good life, thanks to Naloxone. I am an addict. I have used drugs and alcohol for most of my life. It was in May last year when calamity hit. I had been abstinent from opiates for 18 months and was just smoking cannabis and using a rare valium when I could get it. I couldn’t get any cannabis that day but I managed to get some valium and popped the lot and then I did something insane, I injected heroin. As soon as the barrel on the syringe was down I was gone. Luckily I wasn’t using alone and my friend called the paramedics. I remember briefly coming round after the first shot of Naloxone in the ambulance and then again after the third shot in hospital. I see Naloxone as my miracle, my chance to be a good parent, partner, son and brother. Without this drug I wouldn’t be here writing this. I am now totally abstinent. I have started a degree course at the Open University, I’m a recovery coach and I’m taking my driving test soon. I have an amazing sponsor and for the first time in my life I feel that I have the power to choose whether I use or not, rather than how long I can hold out for. I want to train to administer Naloxone and campaign for all governments to fund this wonder drug. Addicts can recover. We do feel and we are entitled to live. On the day that I’ll never forget, something felt wrong from the start. At this point in my life I would describe my heroin habit as ‘raging’. Selling and smoking smack was my daily routine. On this day, my supplier was late, which had never happened before. I gave up waiting, scored elsewhere and injected. Maybe it was because it was stronger gear, maybe it was because it had been a while since I’d injected. I don’t know. I overdosed. There were guys in the house at the time waiting for the dealer and one of them was my good friend who is now also my life saver. 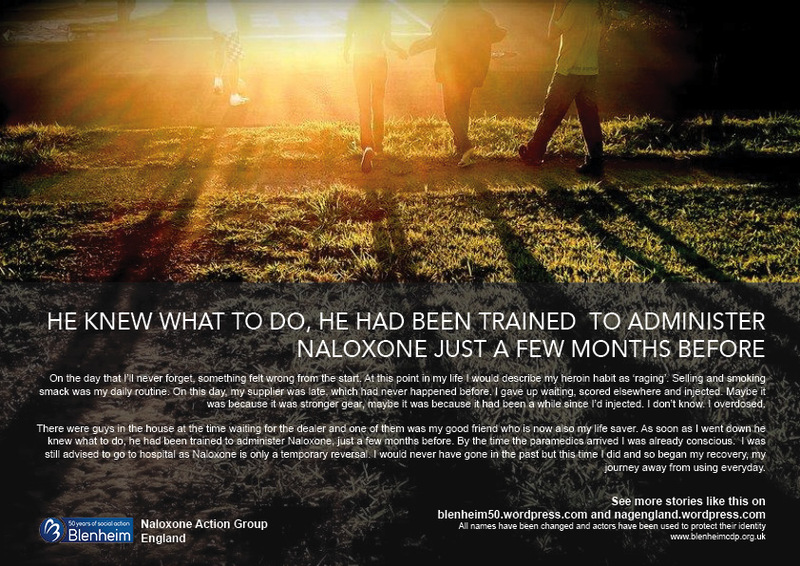 As soon as I went down he knew what to do, he had been trained to administer Naloxone, just a few months before. By the time the paramedics arrived I was already conscious. I was still advised to go to hospital as Naloxone is only a temporary reversal. I would never have gone in the past but this time I did and so began my recovery, my journey away from using everyday. Trust me, I know because Naloxone saved mine and more than once. I have been given Naloxone 3 times in my life when I have overdosed on heroin. 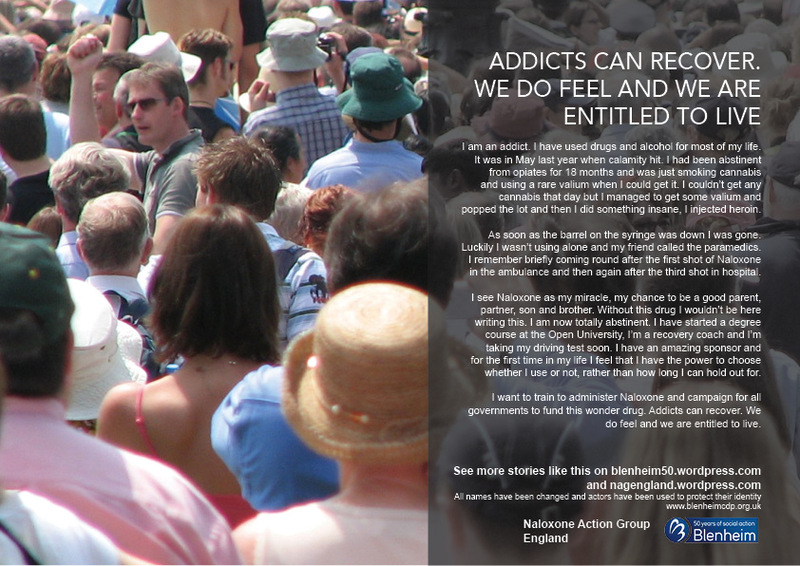 Like me, most addicts don’t mean to overdose but unlike me not everyone has been so lucky. The last time I overdosed my mum saved me too. The paramedics later said that I was 30 seconds from being pronounced dead. It was mum who told them that I could have overdosed on heroin and they administered Naloxone and it got my heart beating again straight away. I’m clean now and fulfilling my dream as a writer. If I had one wish it would be that Naloxone was available to people on the street with the training to administer it. From Monday the stories will have a naloxone theme to raise awareness of this life saving medicine. 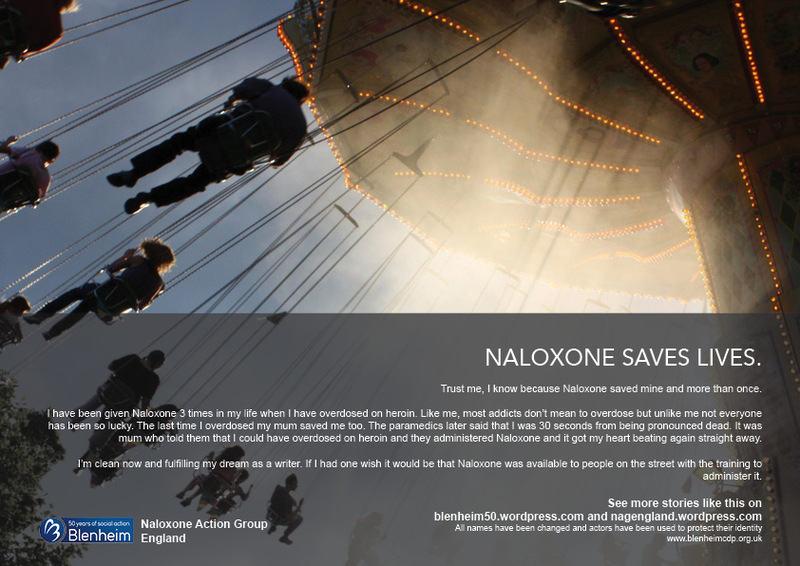 You can find out more about naloxone and how you can help them push government for a UK roll out on the Naloxone Action Group England website. My mum died the day I was born. Complications and loss of blood. So it was just me and my dad. I owed him, he used to say. He has been dead for 8 years now and I am slowly starting to believe that he won’t be able to touch me again and that perhaps I will have a chance to love and be loved instead of feeling dirty, ashamed and helpless. Last year I met Bill at my doctors surgery. Bill worked for Blenheim. He was there every week when I would go to get my script. Every week I talked to him a little bit more and after 6 months I gave in to Bill and went to Blenheim. It was in the Wednesday Women’s group that I spoke about my father for the very first time. It was like the words took a hold of me, like I was in a silent movie and an actress was saying my lines. Then my tears took over and I didn’t want to stop until I had wept him out of me. Last week I did something I thought I would never do. I went out on a date. We are going out again next week. Deemster_Diva on NALOXONE SAVES LIVES.